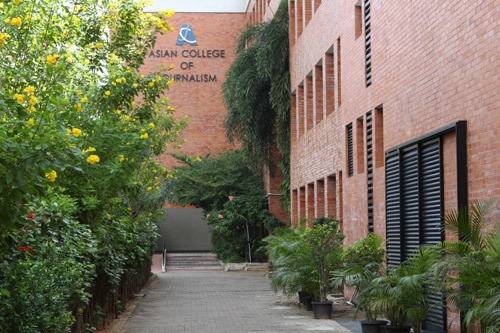 ACJ’s campus at Taramani, Chennai, has a built up area of 80,000 sq ft. and comprises the college and the residential blocks, both four storeys high. 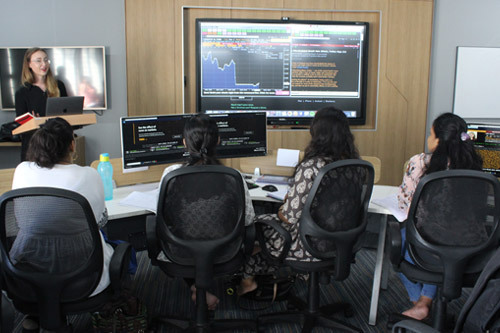 The college complex includes ten large computer labs; the hi-tech Bloomberg lab; the digital multimedia integrated newsroom; eight classrooms, big and small, fitted with modern teaching aids; state of the art multimedia auditorium; a large hi-tech multimedia lecture hall; a spacious and well stocked library; a workshop facility and a seminar room each; print and new media edit desks with latest production software; two conference halls, two digital TV studios with multi-camera shooting floors and attached production control rooms; ten digital TV edit suites; a digital radio studio section equipped for audio recording, editing and multi-track mixing; a commodious canteen and students’ common rooms. 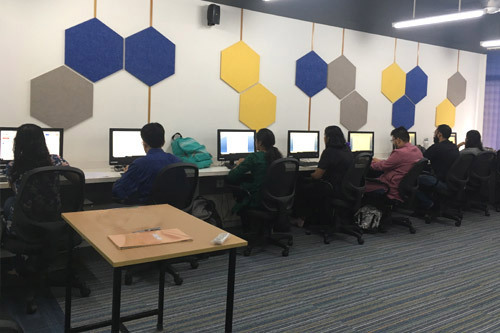 All students have access to computers with high speed connectivity, LAN networking, and software packages. 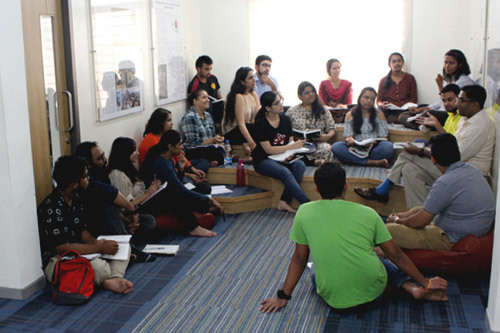 The UNESCO Madanjeet Singh Centre for South Asian Journalism, which is housed on the campus, undertakes research programmes on the news media, mapping and monitoring the news media in India and South Asia, developing new perspectives on news media coverage of deprivation and the challenge of peace building in the region. The location gives the campus the unique advantage of being insulated from the din and bustle of the metropolis and yet just a fifteen minute metro train-ride away from its nerve centre. 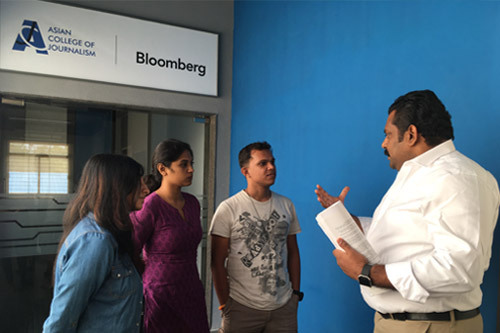 With its diversity, liveliness, educational and developmental resources and cultural traditions, Chennai provides students of journalism with a vast laboratory to explore and test their skills. The composite facility provides an excellent setting for students to live and learn together in a congenial and stimulating atmosphere. Chennai, formerly known as Madras, is one of India’s great metropolises, combining the old and the new, the modern and the traditional. Greater Chennai’s population was 6.42 million, according to the Census of 2001. It has a rich cultural tradition and is home to highly regarded educational and research institutions as well as to some of the best medical centres in the country. 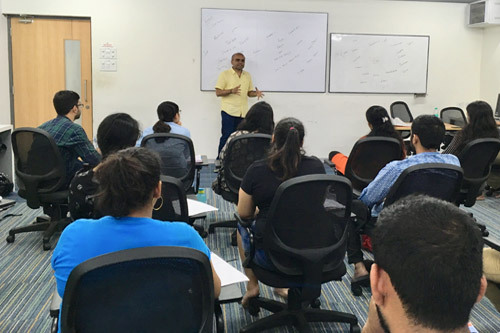 It has major communication and media resources and is one of India’s leading centres for software development and for information and communication technology. Mahabalipuram and Kancheepuram, two ancient historical heritage centres, are within striking distance of Chennai.